I’ve followed boxing at a very early age hearing about my father’s fights in the Marine Corp. He was a welterweight. Growing up it was one subject my dad and I loved to talk about. We followed all of the weight classes. I still remember when dad bet on an then unknown Cassius Clay to beat the monster Sonny Listen. He cleaned up that night! through the years I’ve selected my favorite boxers of all times in each division. “Former heavyweight champions Mike Tyson and Evander Holyfield are continuing to take advantage of their notorious history together, turning it into a marketing opportunity. In 1997, in perhaps the most heavily hyped rematch of all time, Tyson lost his composure and bit off part of Holyfield's ear. At the time, that earned Tyson a $3 million fine and a ban from boxing. Nowadays, the one-time superstars have turned it into a marketing opportunity. 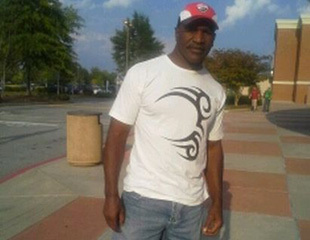 @MikeTyson bit my ear and all I got was this lousy t-shirt. Tyson is selling the T-shirt as part of the Mike Tyson Collection. That followed on the heels of a Twitter exchange between them in June, in which Tyson helped Holyfield sell his Real Deal Barbecue sauce. Oh so now I know why I like your blog. I too grew up with a father who boxed in the Army and like you, we always watched the Weds and Friday night fights together. And of all sports it is still only boxing that holds my interest. I recently saw the Lewis-Tyson fight in which Lewis completely dominated Tyson, made him look like a amateur chump, no Tyson steam at all. Then I watched Lewis go up against one of those big Russians the same size as Lewis and saw that Lewis was winning his fights because he was just too damn big for his smaller opponents like Tyson. Could keep them at arms length and with even lackluster power those big super heavyweight arms can do a lot of damage. Lewis was smart to get out ahead of the game. All in all, I still am in awe of Muhammad Ali as a champion heavyweight boxer. Not because he was the best boxer of all times, he wasn't, but because he had heart not only for the game but for people. He is the greatest athlete of all time in my book and we are lucky to have him in our generation. What a coincidence Stephen. What weight did your dad fight in? I was in the Army and fought in "Smokers" at Ft. Leonardwood, MO. Didn't pursue the sport however. I don't remember what weight my dad fought in if he told me. He was totally silent about his Army Air Force days. I know I could never have done what he and many like him did which is fly in those sitting duck B-24's relying on same principle as any flock of ducks flying through a barrage of duck-hunters. I remember seeing his medals and yet he never talked about them. War changed him greatly my aunt told me. As for boxing I would guess he would have fought in the welter-weight division. He made my brother and I learn boxing to "settle" our differences which was a joke on me because my brother was four years older and I couldn't lick him until I grew to be his size and then he couldn't whip me. It's funny but I myself hate physical fighting and I know it made my dad mad because I only would put on the boxing gloves when he ordered it and I avoided fights with other kids and became a conscientious objector to the Vietnam War. Still I love to watch boxing. Well, maybe not enough to actually watch TV ESPN which I don't do and now that I think about it, I don't watch boxing at all except a rare look at some fighter I'm interested in like Lennox. I wish there was a boxing gym around here because I've wanted to get in shape in my old age by learning how to box again. Maybe go for the light-heavyweight championship when I'm 70..